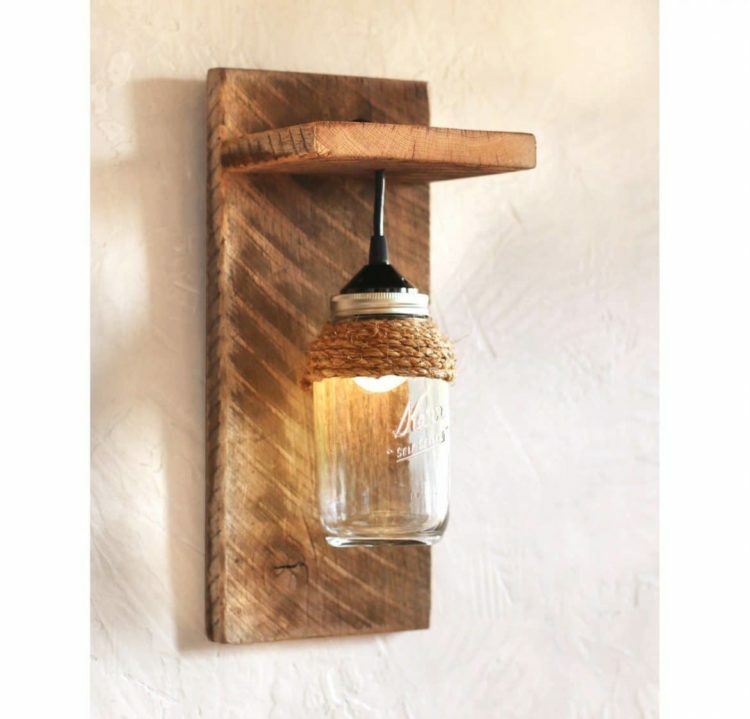 This Mason Jar Farmhouse Wall Sconce is made from reclaimed Barnwood and a mason jar – great for rustic, country, or western decor. 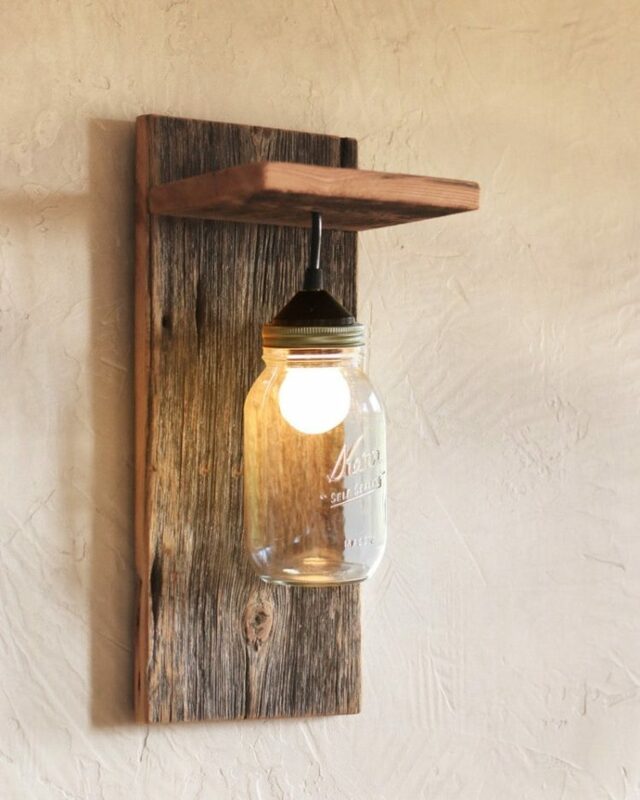 Each wood light fixture is unique because each piece of Barnwood is unique. 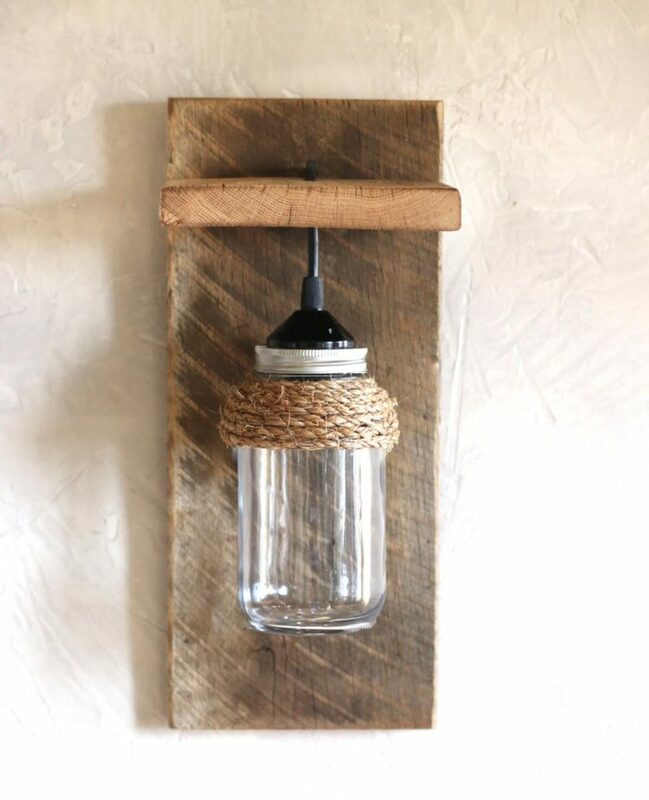 You have the option of jars with rope accent detail or plain (see photos).